Answer sheet for Cleft Sentences with It and What. The present downloadable teaching material is recommended for high school students at Advanced (C1) and Proficient (C2) level. 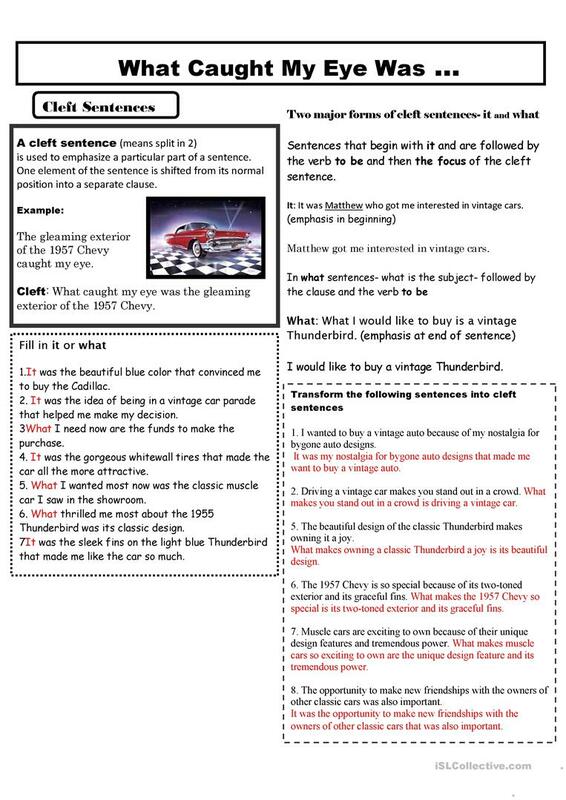 It is aimed at consolidating Cleft sentences (e.g. It's Joey we're looking for) in English, and is useful for developing your class' Reading skills. It focuses on the vocabulary topic of Means of transport. It includes the answer key, too.